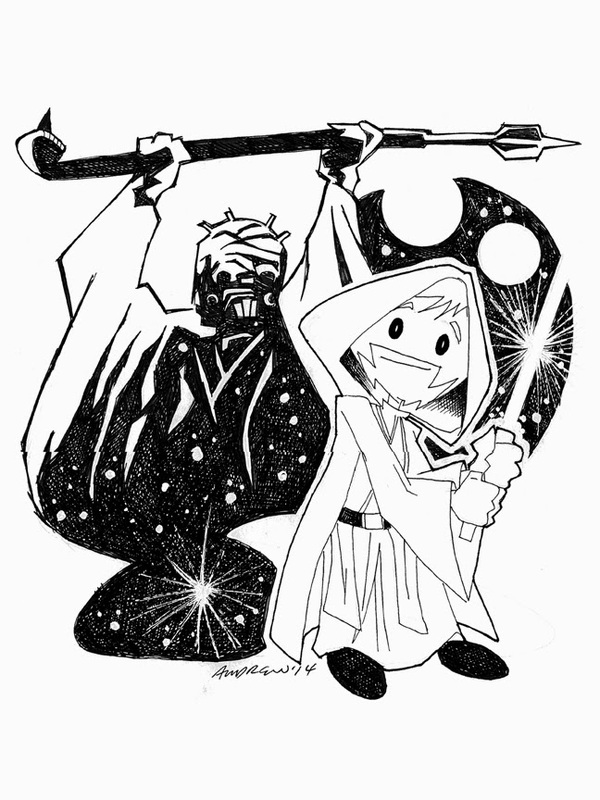 Sketch 033 of 100 is Obi Wan Kenobi. 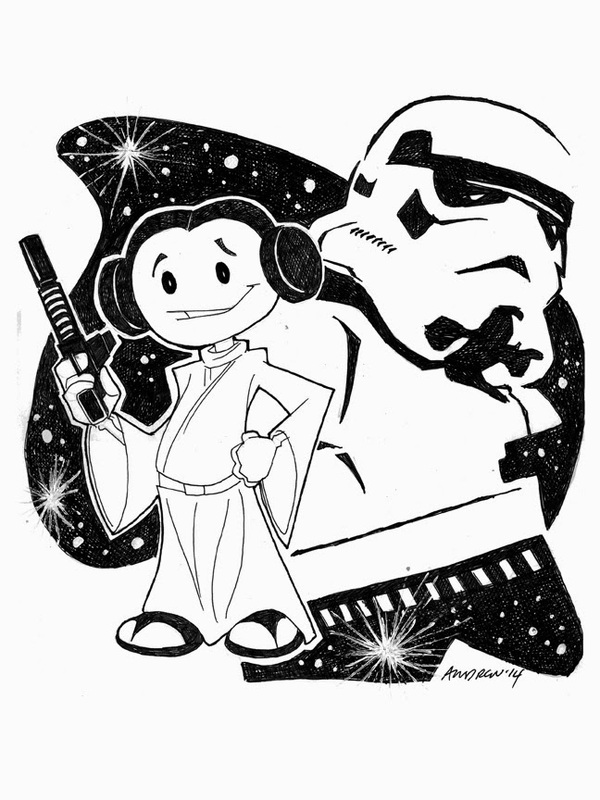 This is the 13th in my 'kid-friendly' series and the 5th of 6 Star Wars series. 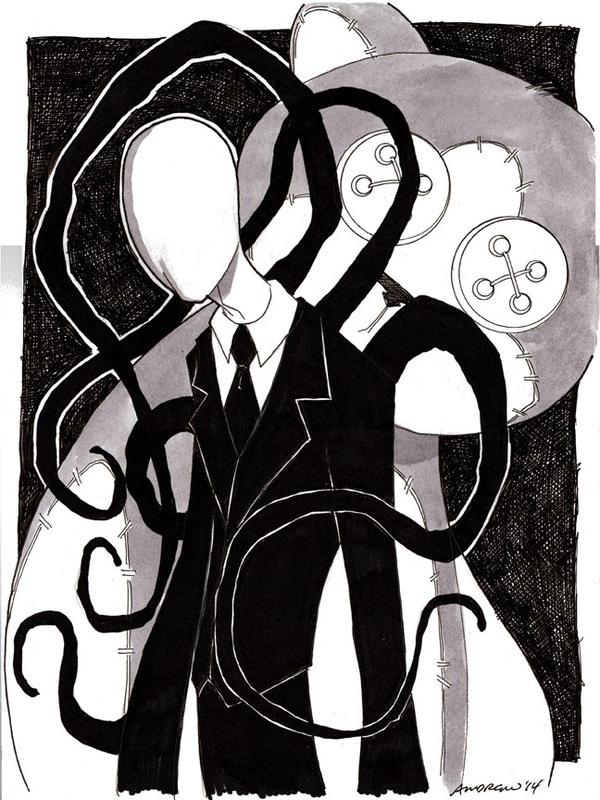 Sketch 025 of 100 was a birthday present for a friend of ours... the Slenderman. I really don't know anything about this guy but that he's kind of creepy... ah, well. 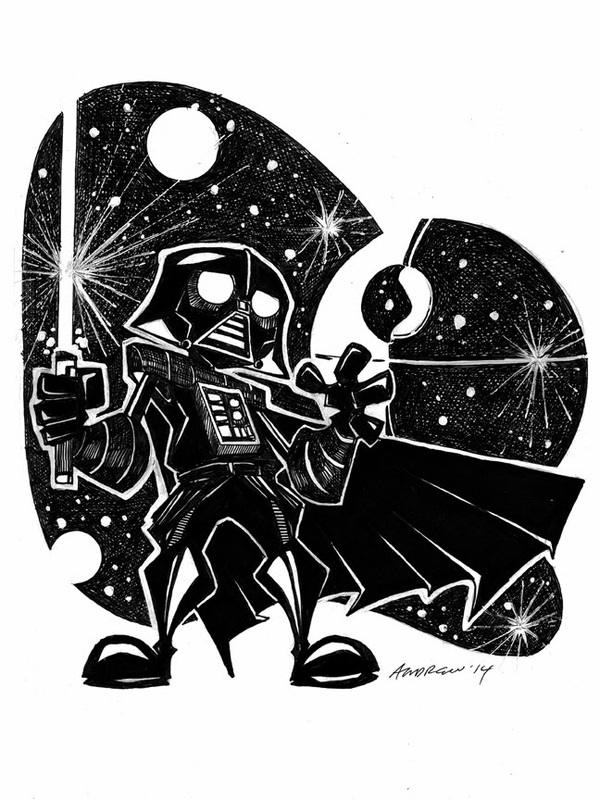 Sketch 032 of 100... Darth Vader! 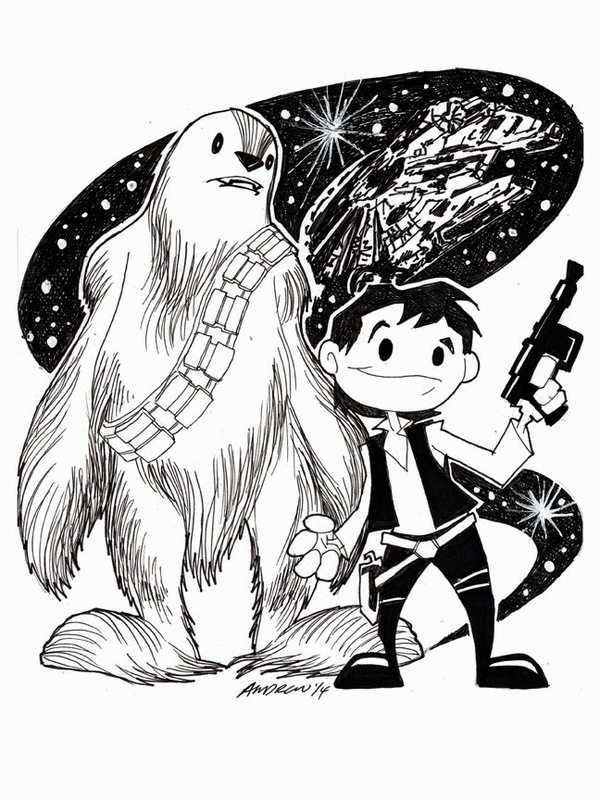 Sketch 029 of 100... Han Solo and Chewbacca. This is the 10th in my 'kid-friendly' sketches. 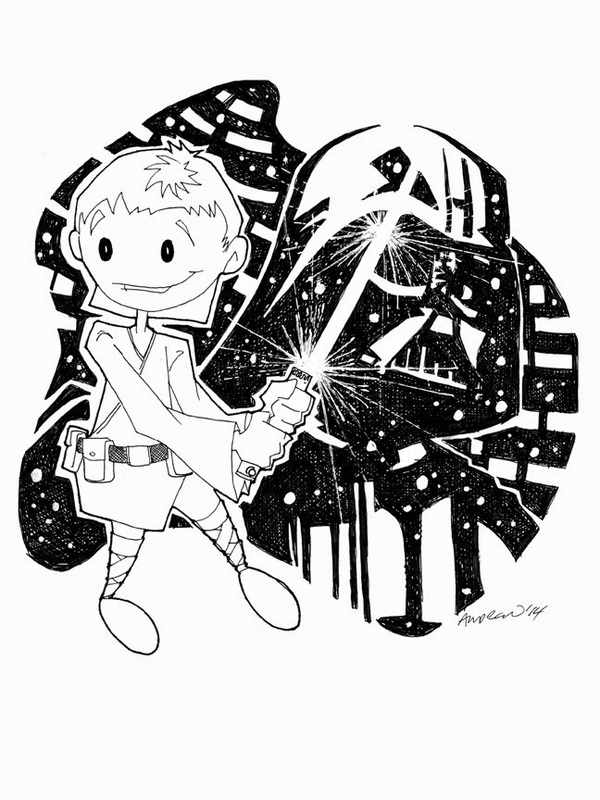 Sketch 028 of 100... Luke Skywalker (oh yeah, I'm going there...). This is number 9 in my 'kid-friendly' series. More to come.. 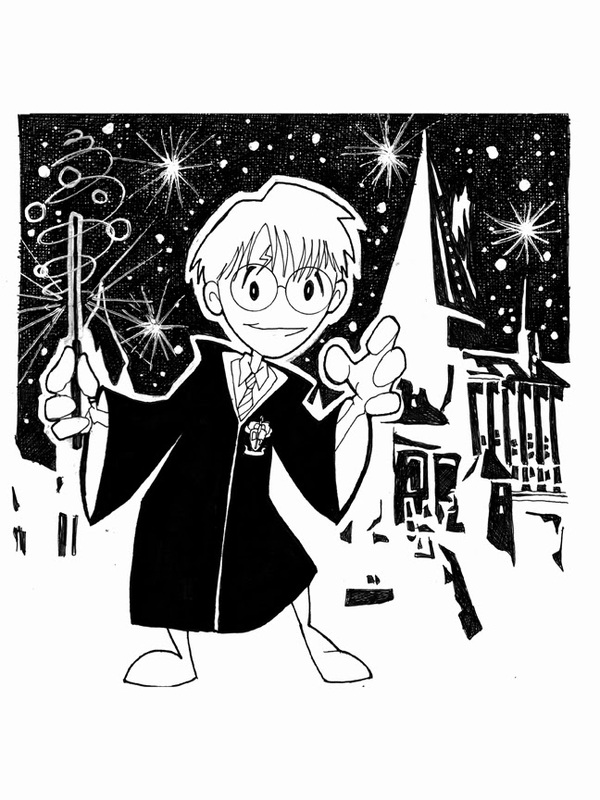 Sketch 027 of 100 is a 'kid-friendly' version of everyone's favorite wizard... Harry Potter. 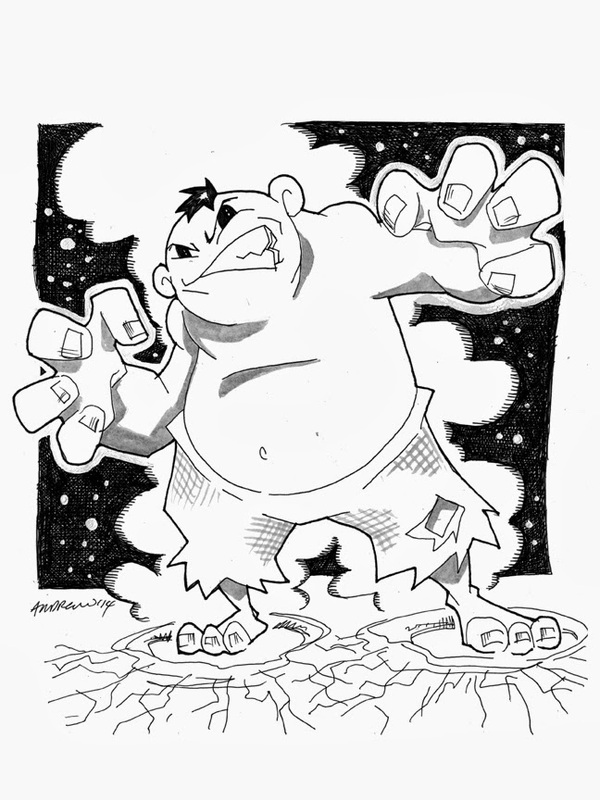 Sketch 026 of 100 is one of my 'small' sketches. 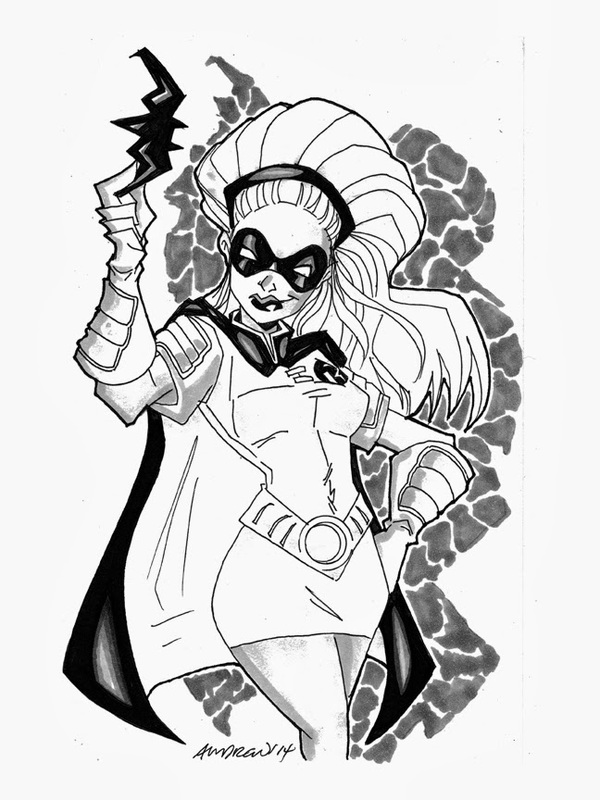 Love her or hate her, this is Stephanie Brown Robin and was done on 9x6 paper. 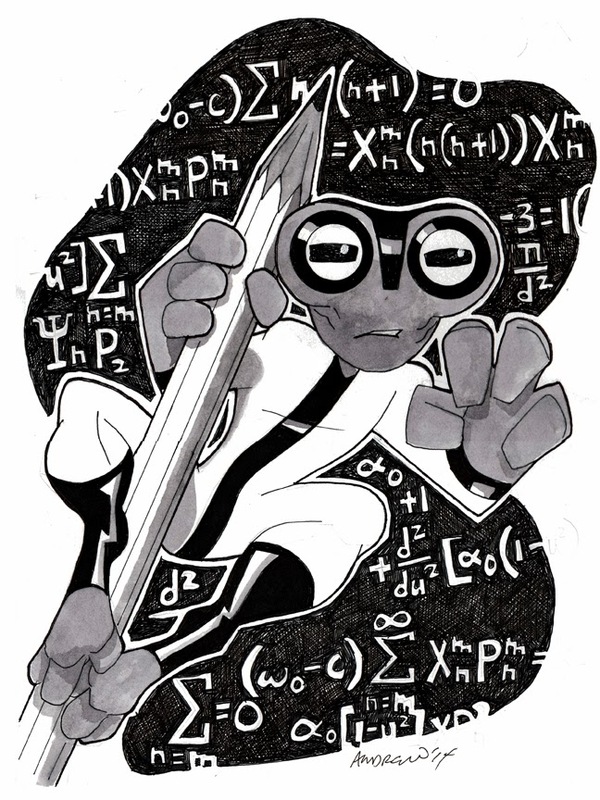 This is also the first time I used the Copics (and the original looks soooo much better than the scan, some of the lighter grays don't show too well). I like Stephanie as Spoiler, I hate her as Batgirl but I loved her as Robin. Most Batman fans will totally disagree with me (as she was only Robin for a blink of an eye) but that's just how I feel (plus, there is only ONE Batgirl and Steph was NOT it). 100 Sketches in 101 Days UPDATE... so I'm 27 days in with 25 sketches down, not too bad. 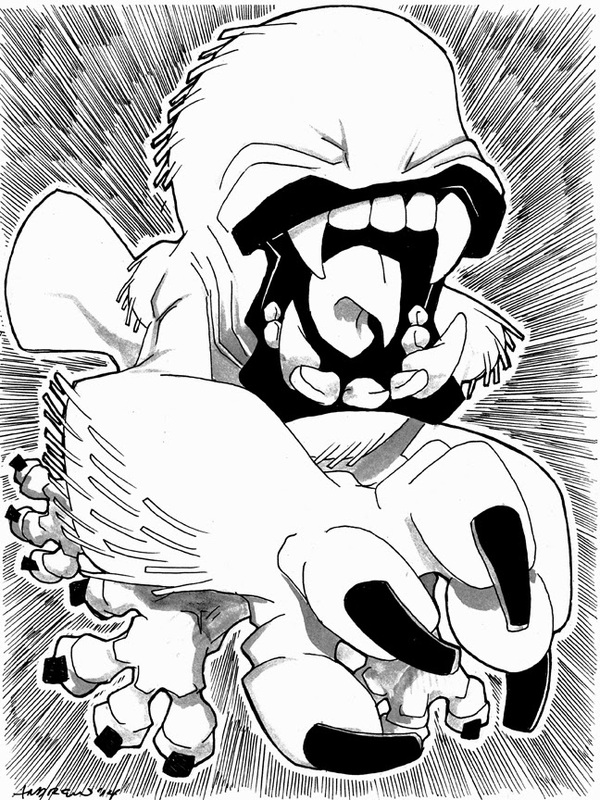 I also did sketch 025 but it is a Birthday Present for someone so when I give it to him, then I can post it. 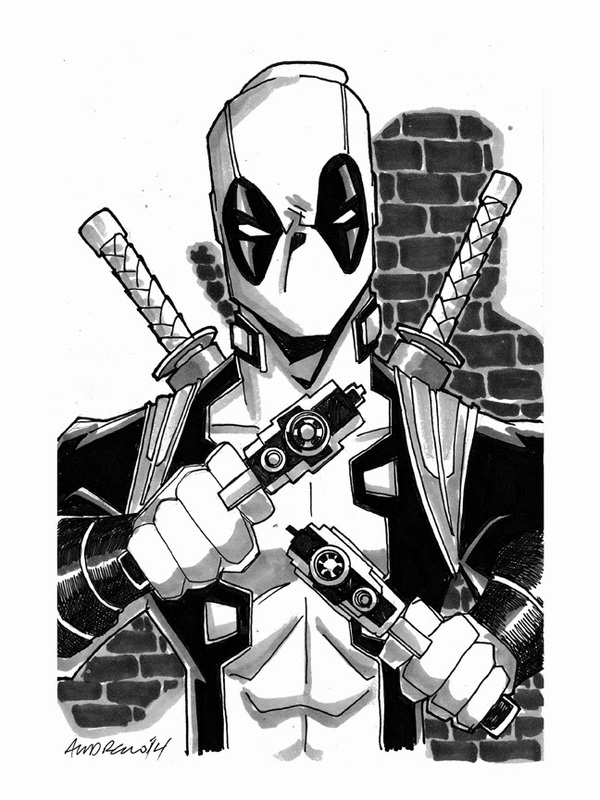 Sketch 023 of 100... The Hulk! 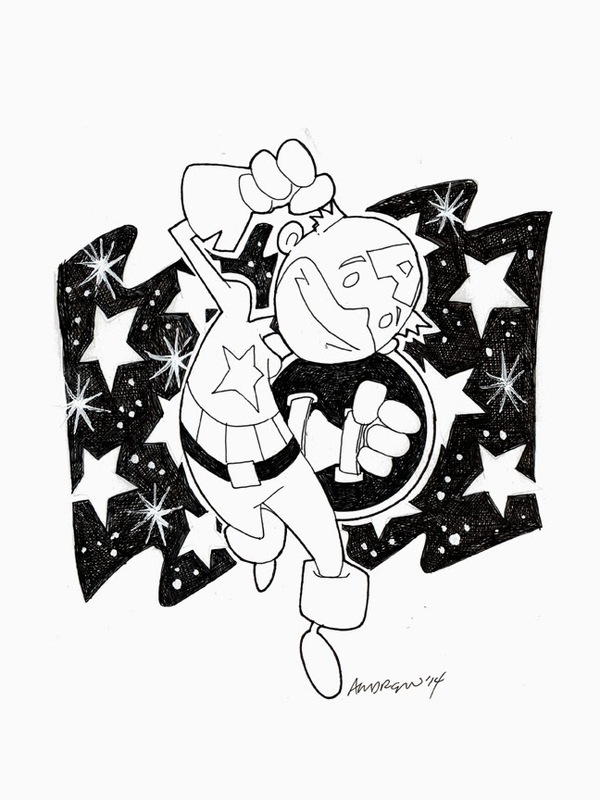 This is the 7th in my line of 'kid-friendly' sketches and the 23rd in my 100 sketches in 101 days. 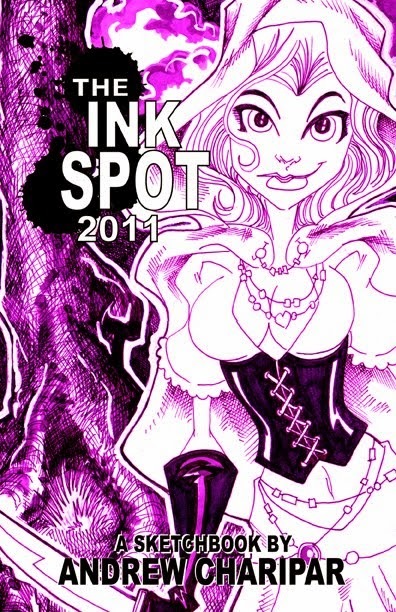 I am now only 2 sketches behind schedule, whoo hoo! 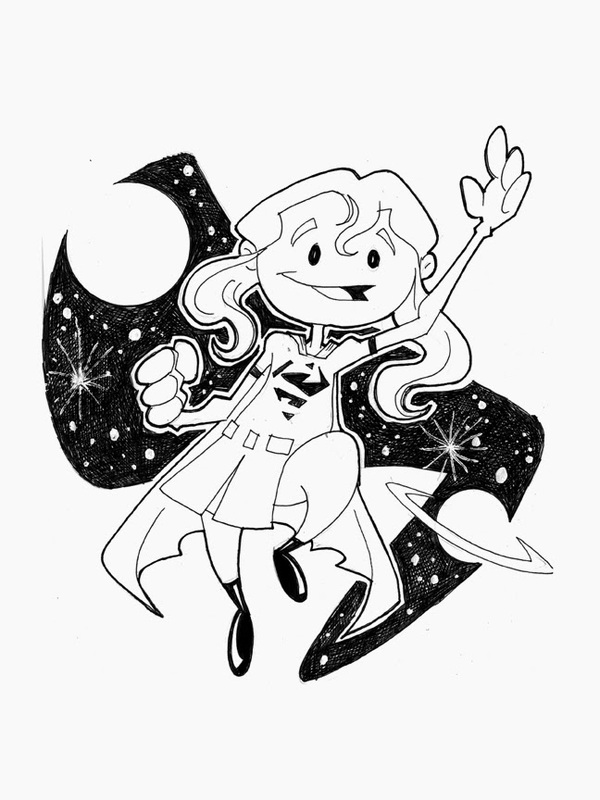 Sketch 021 of 100 is Supergirl! This is the fifth in my 'kid-friendly' sketch series with more to come. 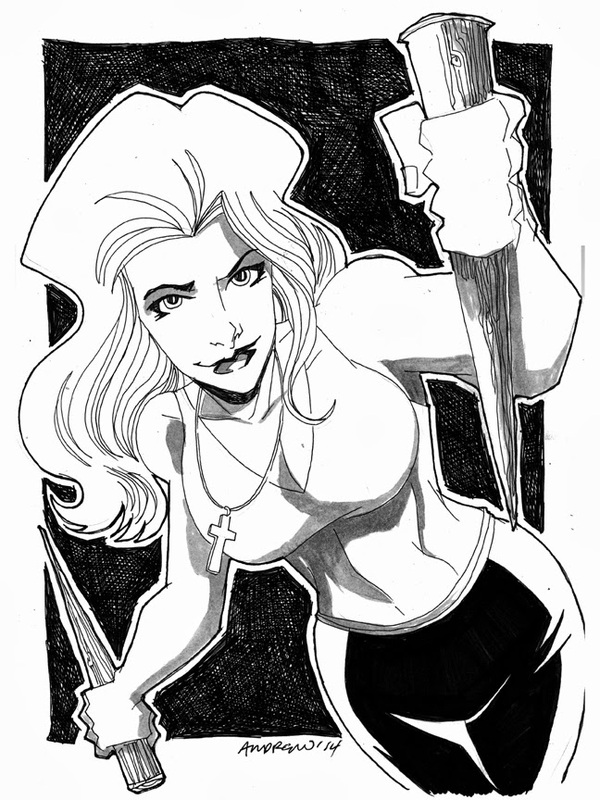 Sketch 018 of 100 was for an old friend of mine names Jason who I have known for over 20 years (and this is his FIRST original Andrew Charipar sketch I have ever given him... so sad)... Buffy The Vampire Slayer. 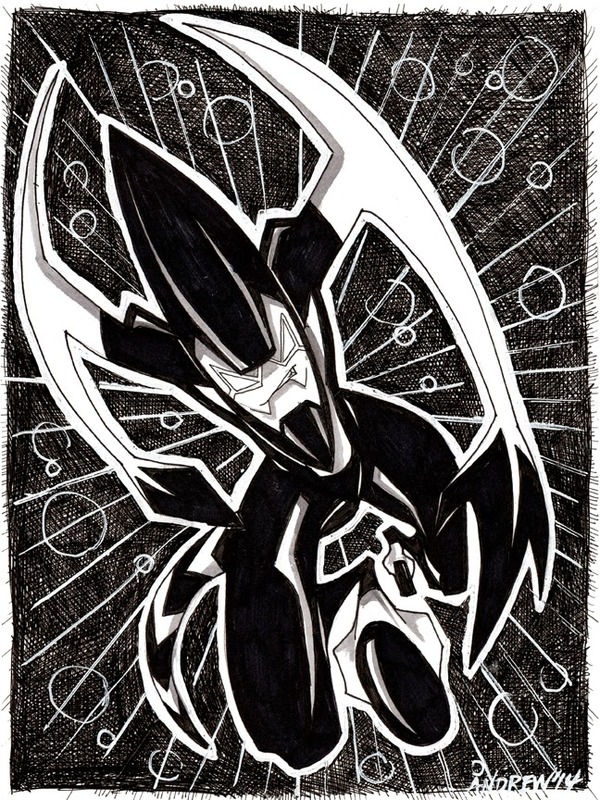 Next up is sketch 009 of 100... Bugged. 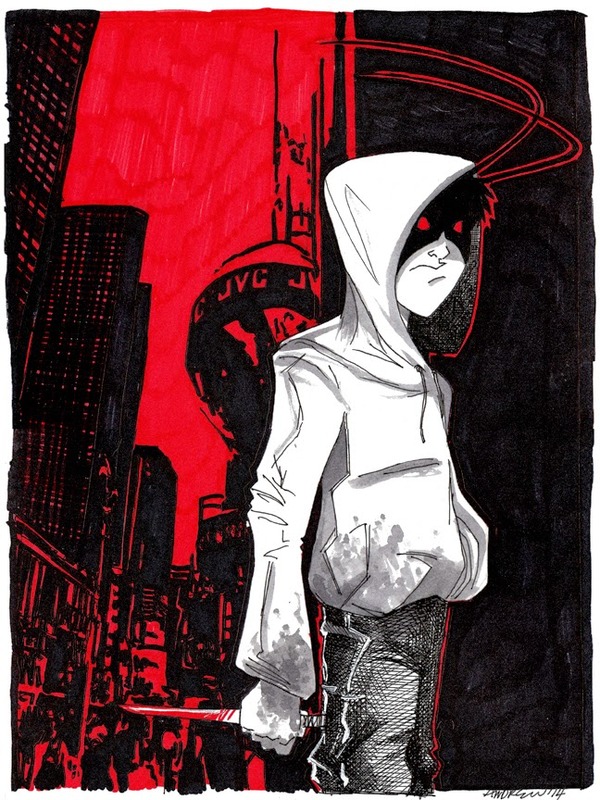 This one was for Rich Bernatovech and was inspired by his original Graphic Novel of the same name. 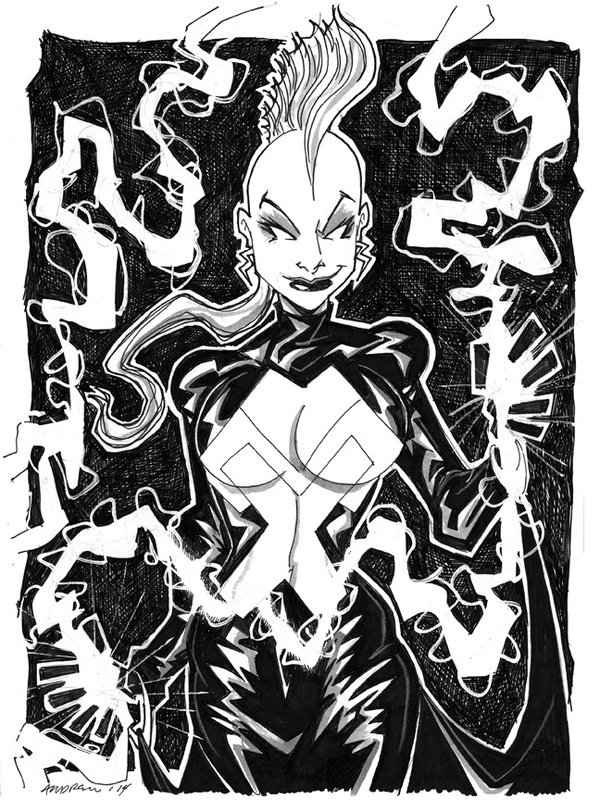 I was able to deliver 3 of the 4 sketches I had to give as gifts at Mega Con this weekend so now I can post the pics... First up, Sketch 006 of 100... Storm from the X-men! 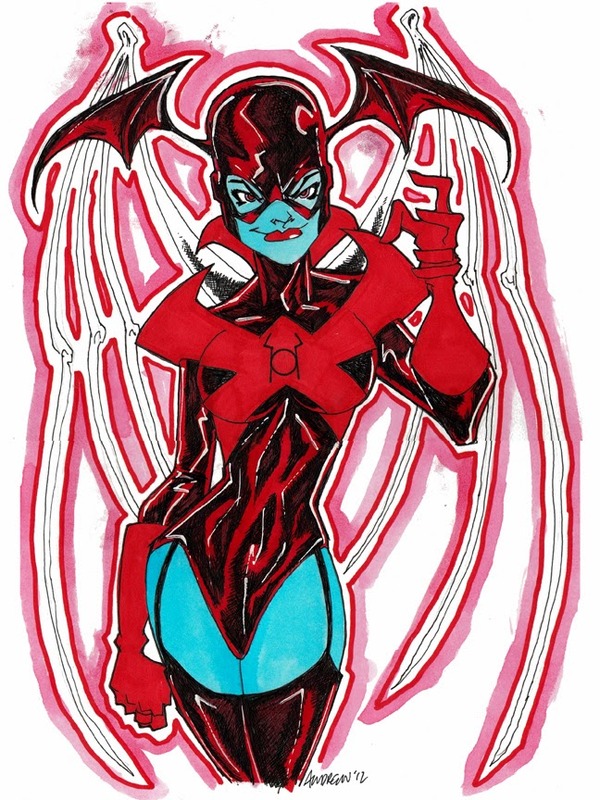 This one is for Jamie Fay and Storm is one of her favorite characters. 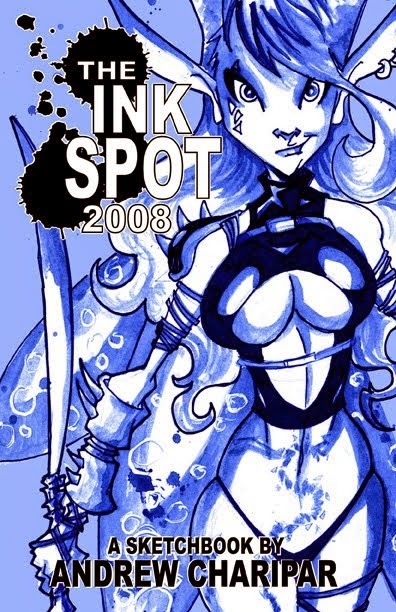 Jamie is a Great Artist and a pleasure to know as a friend. 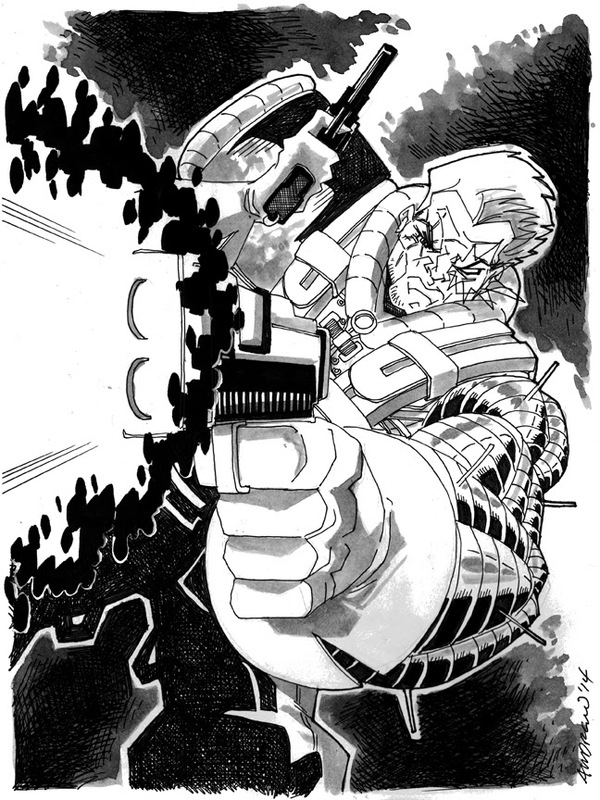 Sketch 016 is in honor of me throwing out several copies of X-Force #1... Cable! I still had 10 copies of X-Force still in the original polybags with the trading cards. 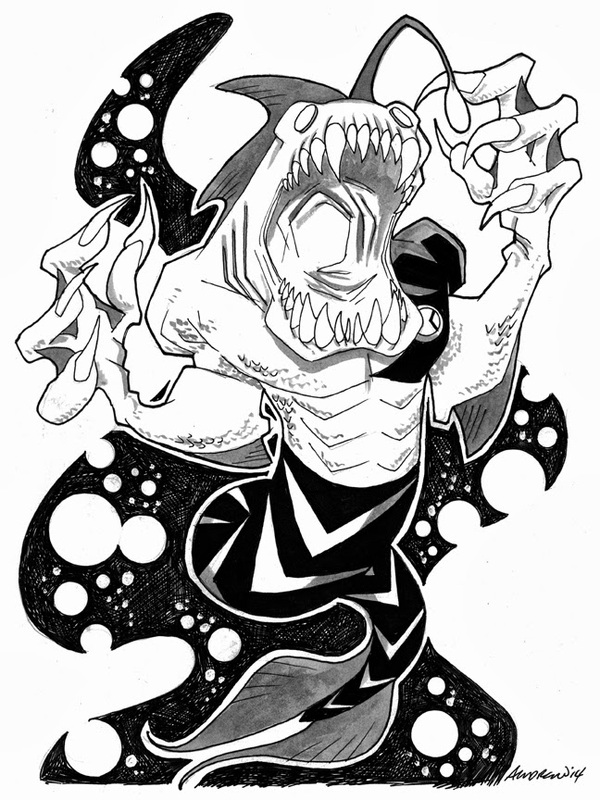 Sketch 014 of 100 is Ripjaw from the Ben 10 Cartoon. Tonight at our Sunday Family Dinner, we are celebrating my cousin Olivia's daughter Faith's birthday. 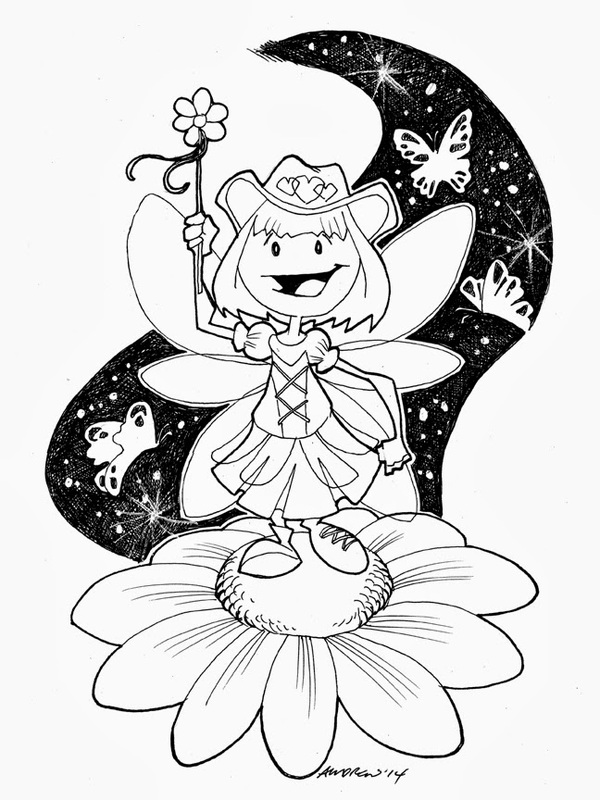 I did this picture of a Butterfly Princess (inspired by pictures of Faith her mother took on FaceBook). I made photo copies for her and included 2 boxes of crayons (sparkly Fairies and Princess colors) so she can do her own color job on the sketch. 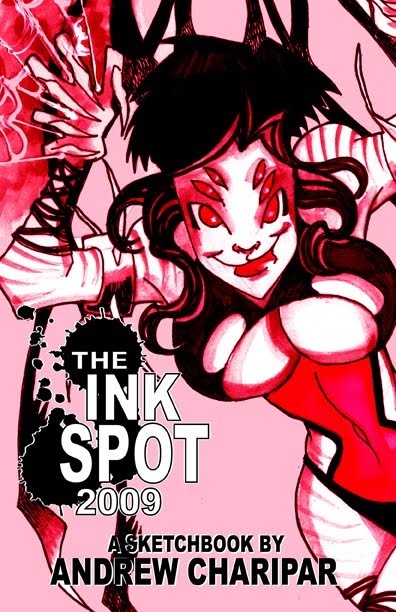 Looking forward to seeing her work. This one doesn't count towards my 100 sketches because it was actually drawn back in 2012... but I did color it tonight so I'm including it here anyway. 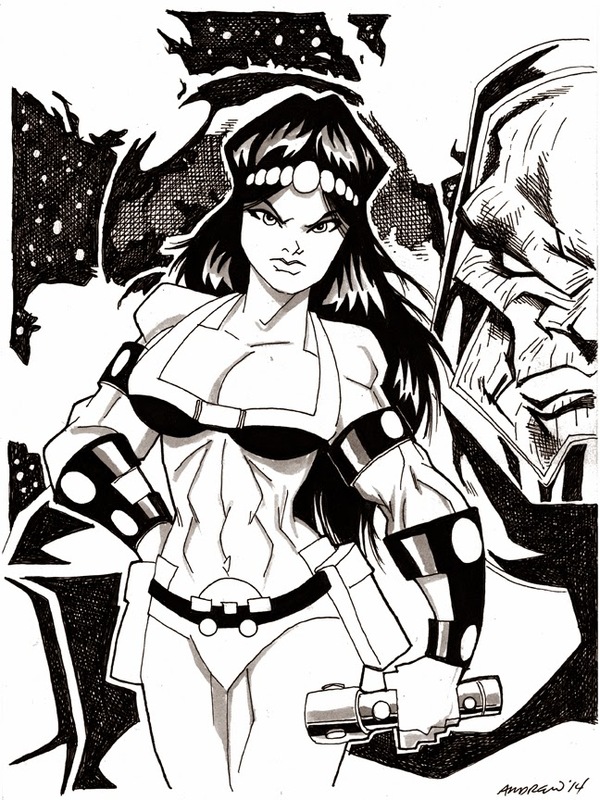 For sketch 011, I went to one of my all time favorite New God characters... Big Barda. This may become one of two sketches (hence the half face of Darkseid in the background) but if it doesn't happen, I think Barda is strong enough all by herself. For Sketch 010, I went back to Sin City and brought back everyone's favorite (at least my favorite) stripper... Nancy Callahan! And "yes", this one is edited for the blog, the original features Nancy in all her glory. 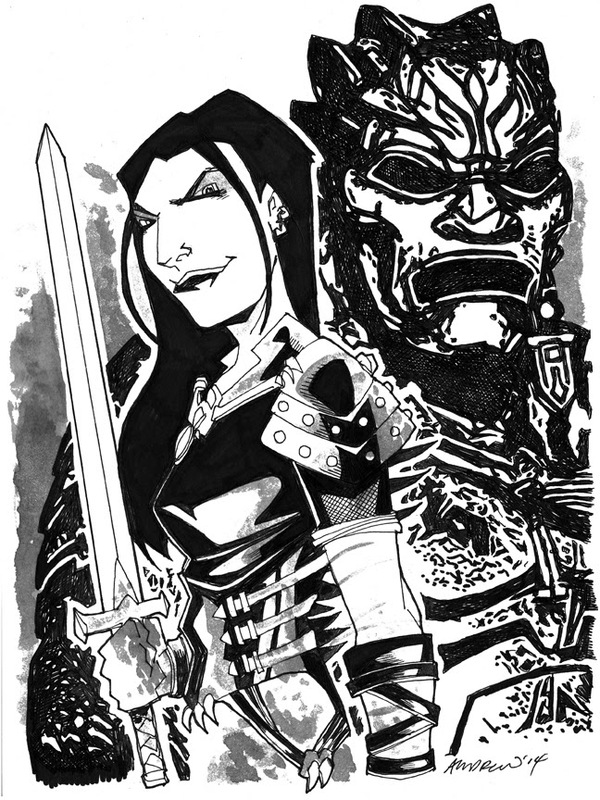 Sketch 008 is inspired by the movie 300 Rise of an Empire and features the villain Artemisia. 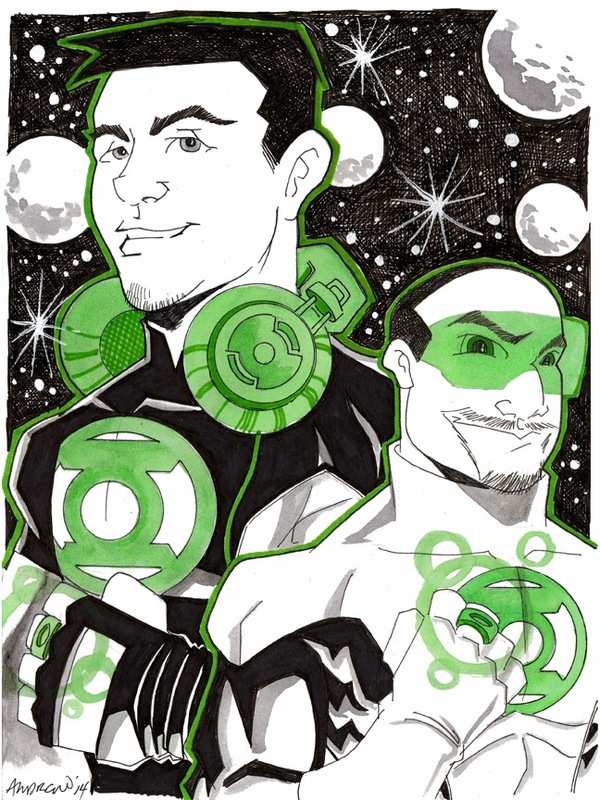 Sketch 007 of 100... Jim and his brother-in-law as Green Lanterns. This was a very, very special sketch and I had to do it twice (ha). My first crack at it really didn't work as I really cartooned up Jim's brother-in-law far more than I should have. So I re-did it and it gave me a chance to make several changes and Jim was very happy. I know, I know... going out of order here. 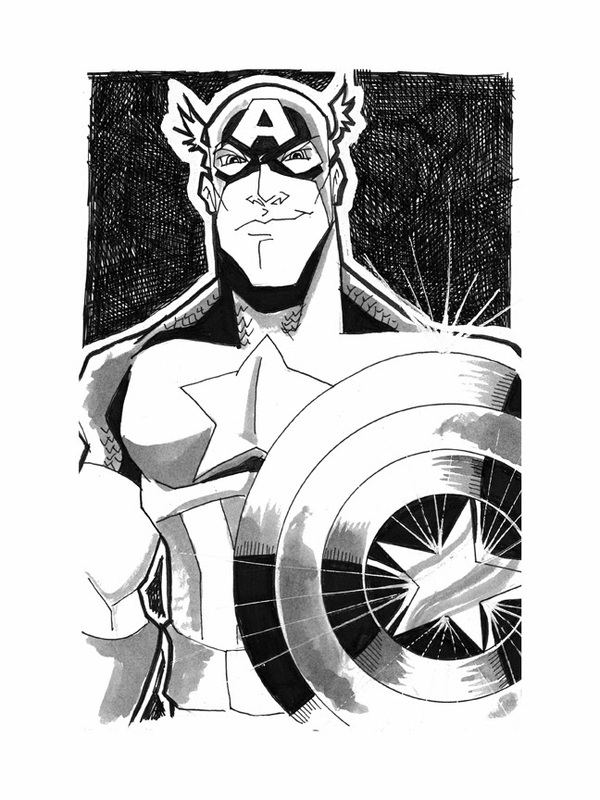 To start the new 100 sketches in 101 days... Captain America! This was a gift for someone who really likes the Avengers. 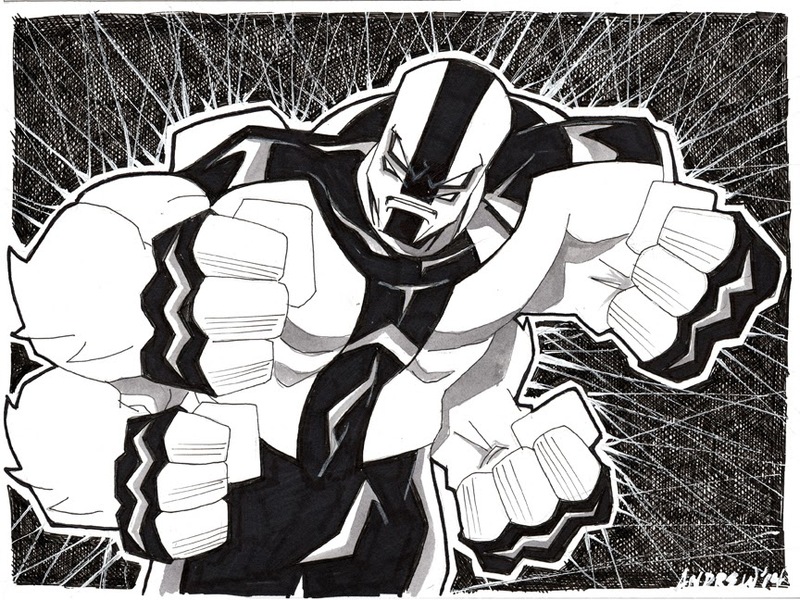 This is sketch number 5 of 100... Ben 10's FOURARMS from the animated TV show. You might ask... where is sketches 1,2 and 4?? 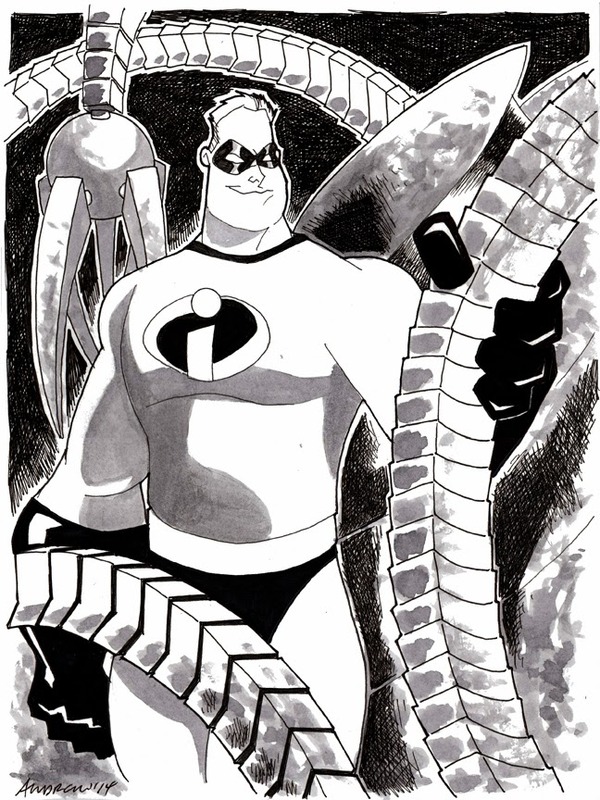 This is one of my sons favorite show and I plan to do individual sketches of all 10 original aliens... so more to come. So I have officially started a new round of 100 Sketches in 101 Days (with the goal of finishing right before the NY show in June). 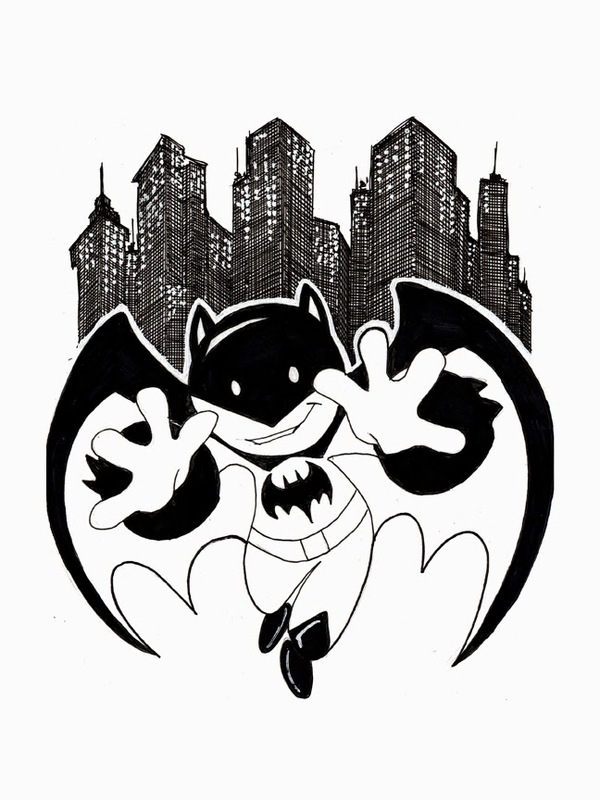 I have requested a table at the New NY show and I hope I get a chance to be there, in the mean time, I am catching up on old requests and starting a bunch of new ones. 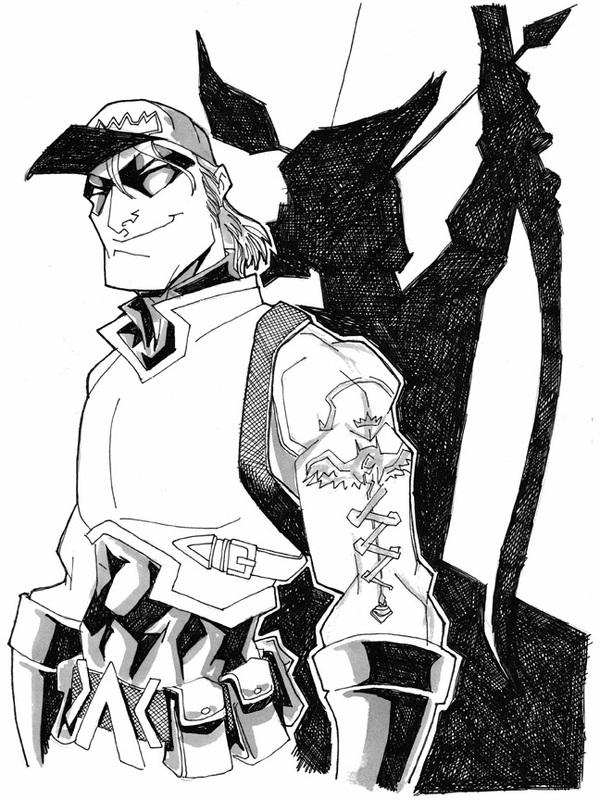 This is a special gift to someone who was very, very patient with me... ARSENAL from the Teen Titans and Red Hood and the Outlaws. The ballets have all been counted and the results are in and once again, it was a night of ups and downs and loads of surprises (especially how NOT funny Ellen was). Let’s start with the “Duh, everybody picked this one right” category… Best Animated Feature… Frozen, woo hoo! Sorry Croods and Despicable Me 2… loved ya both but the frozen girls had this wrapped up from the word go. And speaking of Frozen, everyone but Auntie Cathy and Nana picked “Let It Go” as Best Original Song even after my moving and enduring rendition (available somewhere on the internet right now) which should have inspired everyone to pick it. The other category where almost everyone got it right was Best Cinematography. Everyone but Ayla picked Gravity’s Emmanuel Lubezki. In the category where “No One got it right”… Best Sound Mixing for Gravity, Best Original Score for Gravity and Best Documentary Feature with 20 Feet From Stardom. Also, no one picked Lupita Nyong’o for Best Supporting Actress in 12 Years a Slave. Now for the individual results… Coming in with 5 correct picks, Ayla and Granpa. Ayla and Granpa both picked The Great Gatsby, Catherine Martin for Best Costume Design as well and Drew, Tracey and Nana and Ayla also picked My Life as Best Documentary Short Subject with Nana and Auntie Linda. She also picked Gravity for Best Film Editing with Auntie Cathy, Uncle Wayne, Auntie Linda and Nana. Granpa also picked The Great Gatsby for Best Production Design as well as Drew and Tracey. Next up with a total of 6 correct guesses, I mean picks… Ray and Auntie Cathy. Ray correctly picked Matthew McConaughey, Dallas Buyers Club for Best Lead Actor also with Drew and Mr. Hublot for Best Animated Short Film along with Tracey and Nana. Ray was the only one to pick Cate Blanchett, Blue Jasmine for Best Lead Actress. Auntie Cathy, along with Tracey and Uncle Wayne were the only ones to pick the Best Picture with 12 Years a Slave. She and Drew also picked Gravity for Best Sound Editing but she was the only one to pick The Great Beauty from Italy as the Best Foreign Language Film. Next up with a total of 8 correct picks was Auntie Linda who, along with Drew and Nana, picked Best Director Alfonso Cuarón for Gravity and Best Live Action Short Film Helium as well as Tracey and Uncle Wayne. Auntie Linda also picked 12 Years a Slave for Best Adopted Screenplay with Tracey, Uncle Wayne and Nana. Next up with 9 correct picks were Uncle Wayne and Nana. They both were the only ones to pick Gravity for Best Visual Effects (The Hobbit was ROBBED I say… Robbed!!). Uncle Wayne also correctly picked Dallas Buyers Club for Best Makeup and Hairstyling along with Drew. And now for the winners… Good God… this year we have a TIE! With 10 correct picks, this year’s Dual Champs are…. Tracey and Drew! Tracey was the only one to pick Her for Best Original Screenplay and Drew was the only one to pick Jared Leto for Dallas Buyers Club for Best Supporting Actor. Not too shabby especially considering I have yet to see a single movie nominated for Best Picture this year (I know, I know… I haven’t even seen Gravity yet, bad movie watcher… bad, bad). So once again, we ALL need to see more movies.